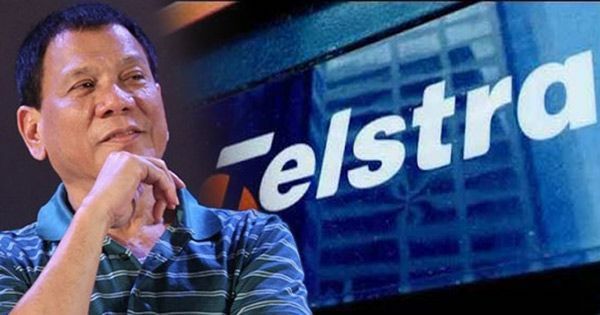 When we asked on Facebook: Should the incoming Duterte administration enter into a national broadband deal with Telstra to open up competition? Netizens answered with a resounding "Yes!" Telstra Corporation Limited, Australia's largest telecommunications company, terminated joint venture talks with San Miguel Corp. last March. Telstra was planning to invest up to $1 billion in the proposed joint venture but, according to Telstra chief executive officer Andrew Penn, both companies were "unable to come to commercial arrangements" that would have enabled them to proceed. Philippines has been ranked as the second country with the slowest internet download speed among 22 other Asian countries, based on the Ookla Household download index as of February 2016. The country, which also has among the most expensive internet rates in the world according to various metrics, gets an average of 3.64 Mega bits per second (Mbps) compared to Afghanistan with only 2.52 Mbps, the slowest in the region. Recently, incoming President Rodrigo Duterte warned telecommunications companies to improve their services or he will allow foreign players into the market. Globe Telecom and Philippine Long Distance Telephone Company (PLDT) — the latter also operates wireless broadband internet services through its subsidiary Smart Communications — pledged to "support" calls for faster internet following Duterte's pronouncement. "We support the call for faster internet. In fact, Globe is at the forefront of building the much needed infrastructure nationwide to make Internet services easily accessible either through mobile or wireline. This is supported by heavy investments over the years to make sure the Philippines is at par with other countries in terms of technology use," said Yoly Crisanto, Globe's Senior Vice President for Corporate Communications. "We are aligned with government efforts to improve telecom services. PLDT is in fact in the middle of a major 3-year network investment program that is in process of significantly improving telecom and Internet services for PLDT and Smart customers and will support national development initiatives," said Ramon Isberto, PLDT spokesman. However, international ratings agency Fitch Ratings said Globe and PLDT "are expected to get a boost from the delayed entry of a third player in the industry." This means that internet services in the country will remain slow and expensive - the reason why Filipino netizens want the government to tie up with Telstra. Netizens believe that the public-private partnership will prosper especially now that the bill creating the Department of Information and Communications Technology (DICT) has been signed into law. The DICT, where the National Telecommunications Commission (NTC) will be attached to, is the primary policy, planning, coordinating, implementing, and administrative entity of the Executive Branch of the government that will plan, develop, and promote the national ICT development agenda. With the DICT in place, it will be easier for the Duterte administration to enter into a national broadband deal with Telstra for faster internet connections that would be of benefit to the country dubbed as the "social media capital of the world."